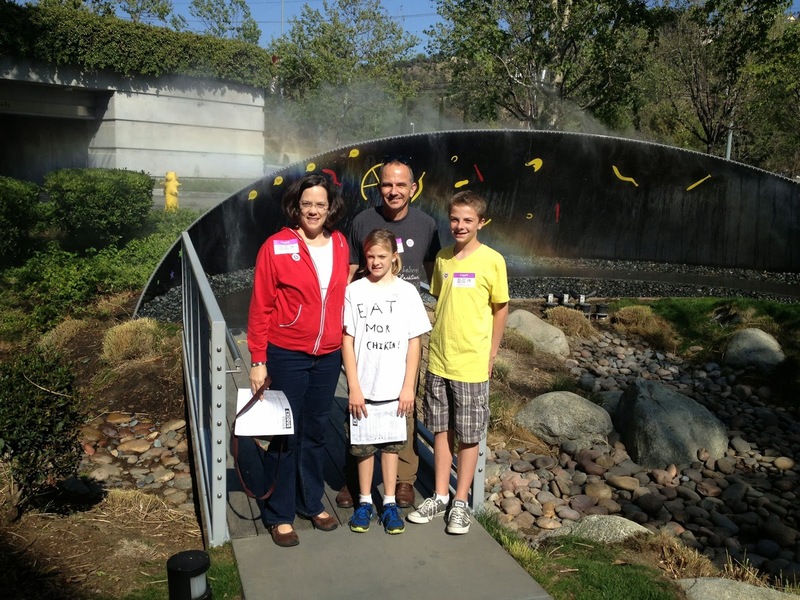 This is our final installment on our little family get-away back to Los Angeles in March 2013. Here's a link to everything we saw and did. Today we'll be focusing on the Skirball Center, located at Mulholland Drive & the 405 Freeway, just a couple miles north of the Getty Center. 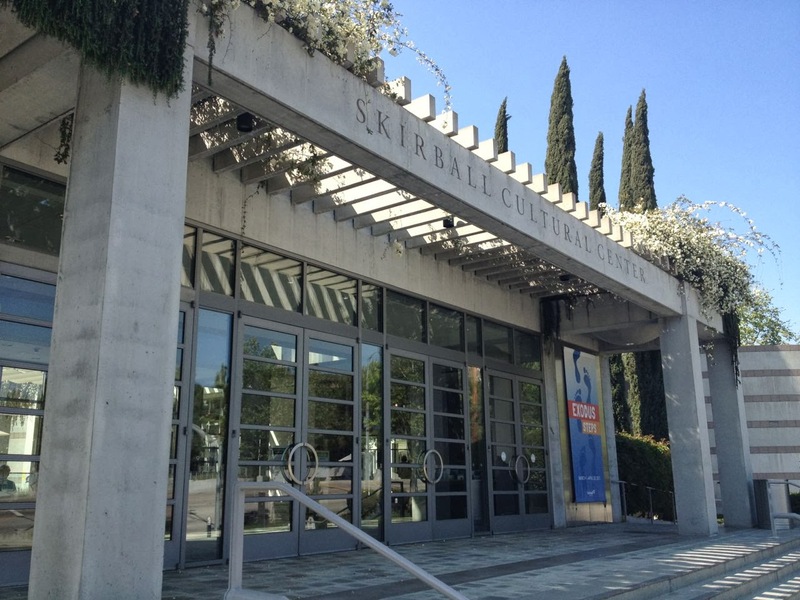 The Skirball Center is a Jewish Cultural Center open to the public. 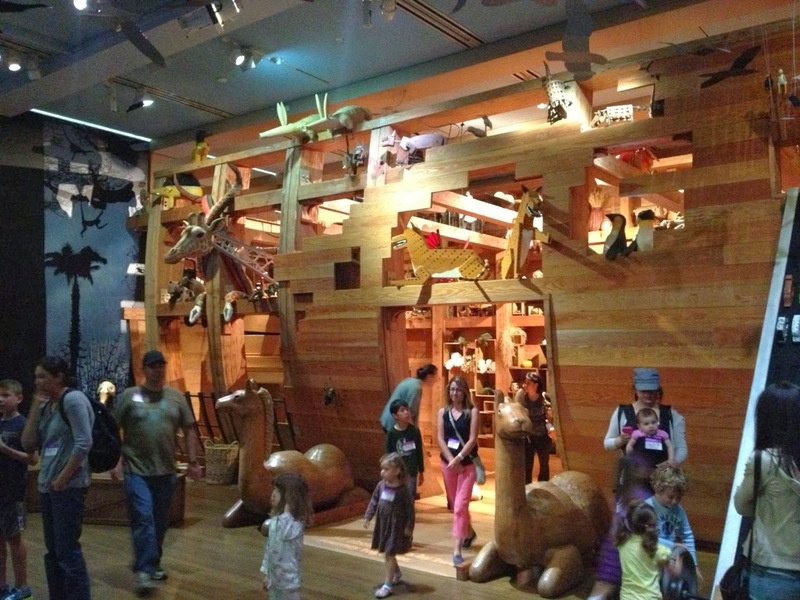 During the five years we lived in Los Angeles, we took our kids - much younger then - to see the "Noah's Ark" display many many times. 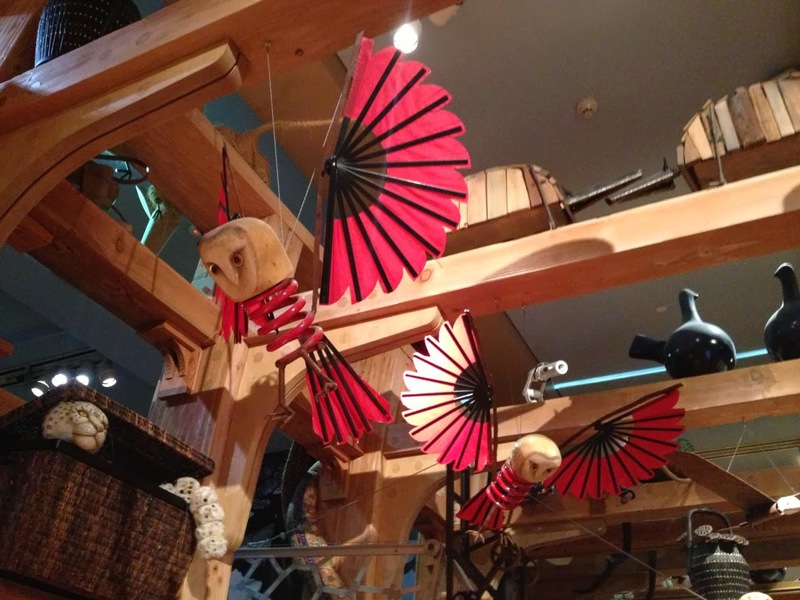 The Noah's Ark display is fabulous. In order to prevent overcrowding, especially on Thursday (when admission is free) and weekends, you need to get a timed entry admission ahead of time. It's not very hard, and it's possible during the week to get an entry the day of. Our kids loved coming back and seeing the displays that they remembered when they were younger. Much of this was "remember when . . ." which was great. The displays are very hands on. 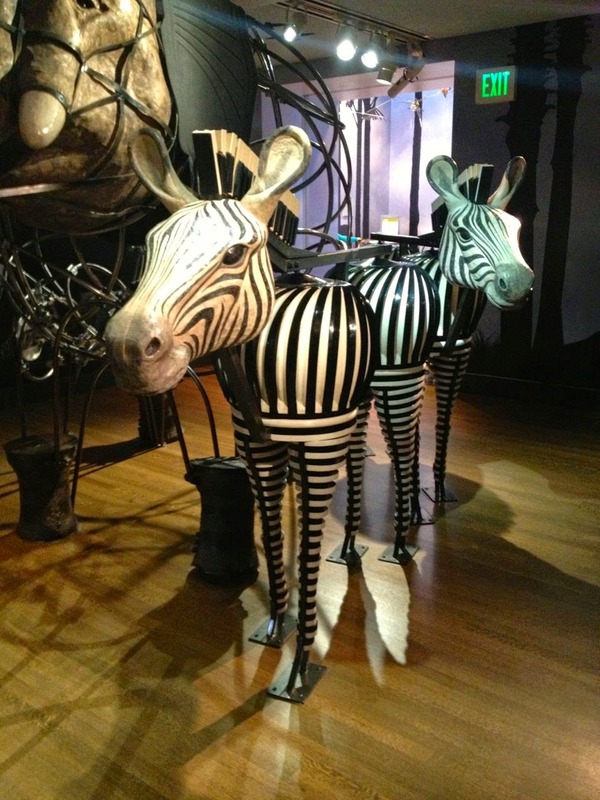 Every "animal" in the display is made of recycled materials. 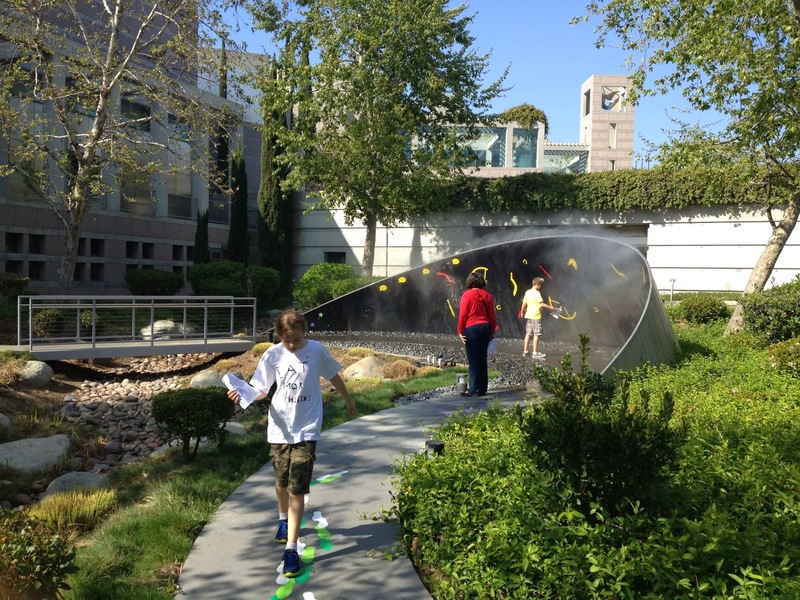 It's incredibly creative and enjoyable for both kids and adults. 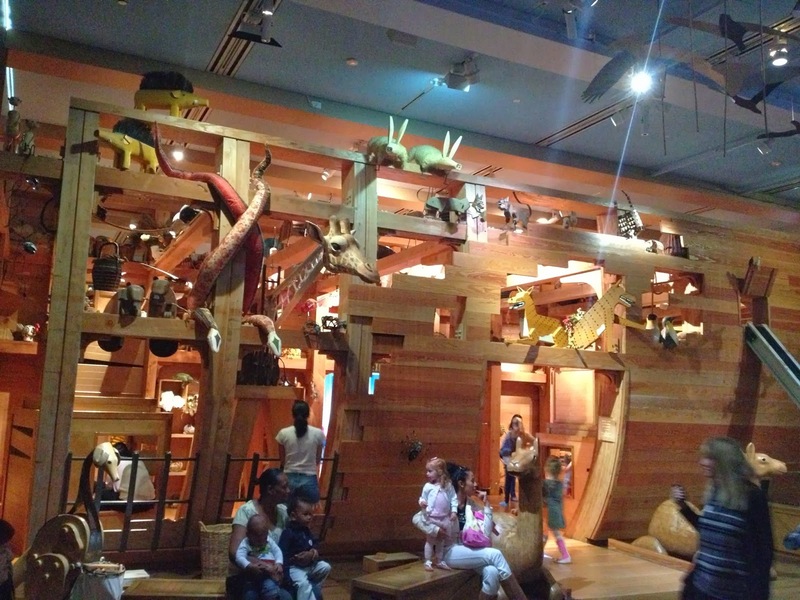 If you're looking for the historical, that is, the biblical account of Noah's Ark, you may be disappointed. 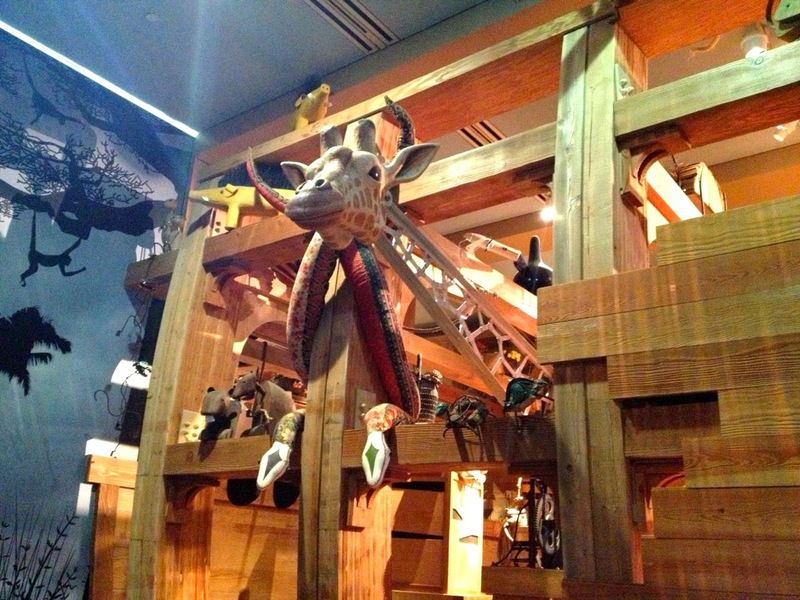 The Skirball Noah's Ark is more along the lines to what you'd find pictured in a child's bedroom - rather than the historical event described in the Scriptures (see Genesis 6-9). 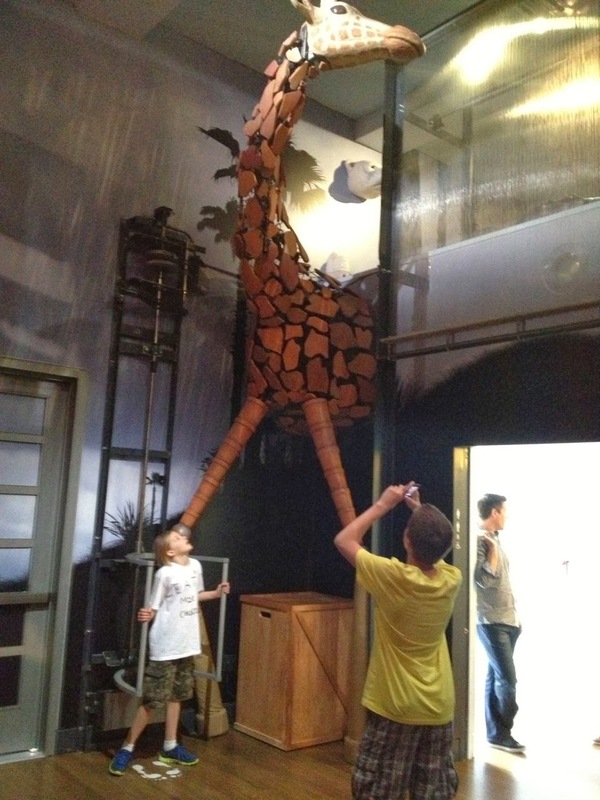 We expected an artistic interpretation, it was a great opportunity for our family to talk about the difference between the two. 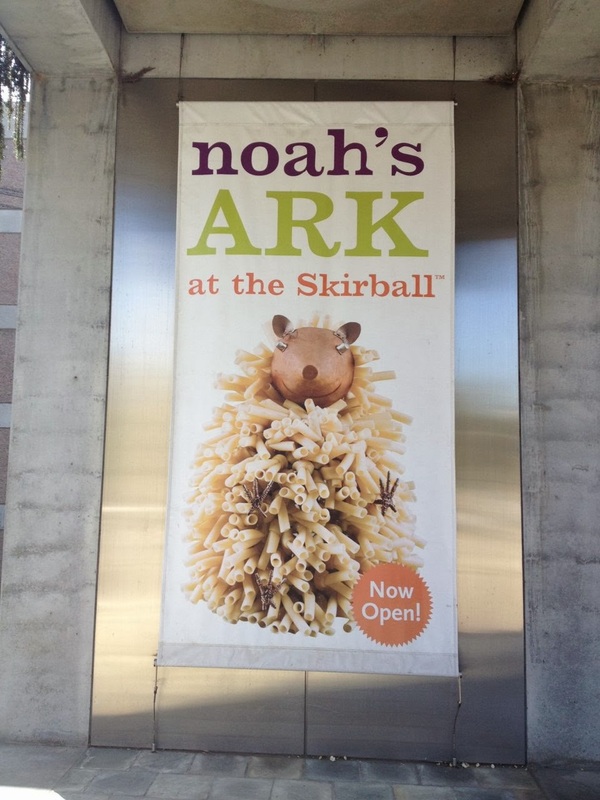 In addition to the permanent Noah's Ark display, the Skirball also has various temporary displays throughout the year. 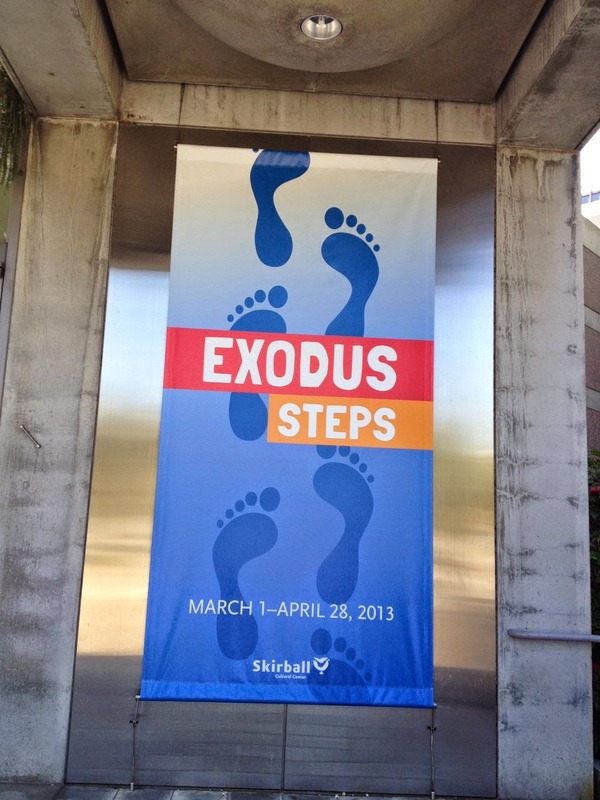 While we were there, they featured "Exodus Steps" - an interactive display of the Book of Exodus (second book of the Bible, after Genesis). 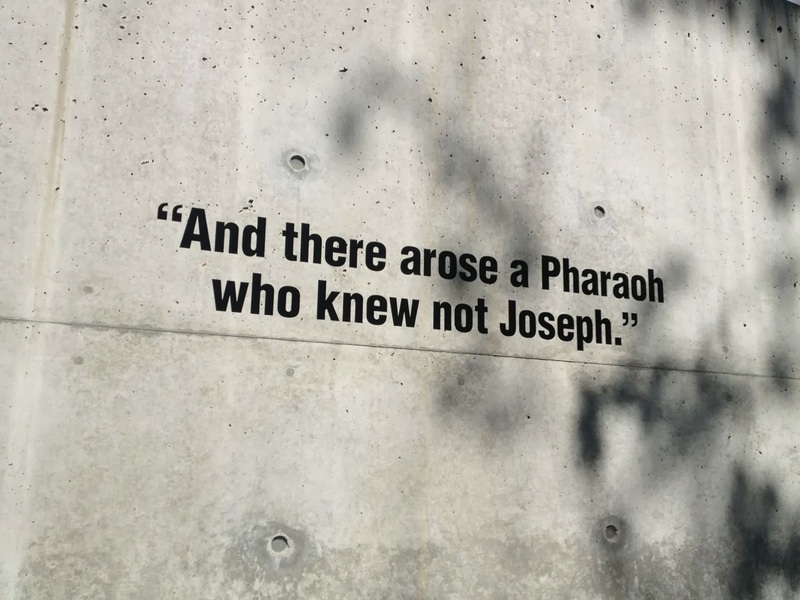 Exodus 1:8 "And there arose a Pharaoh who knew not Joseph." The display was both inside and outside. Following the steps - out of Egypt and to the Promised Land. 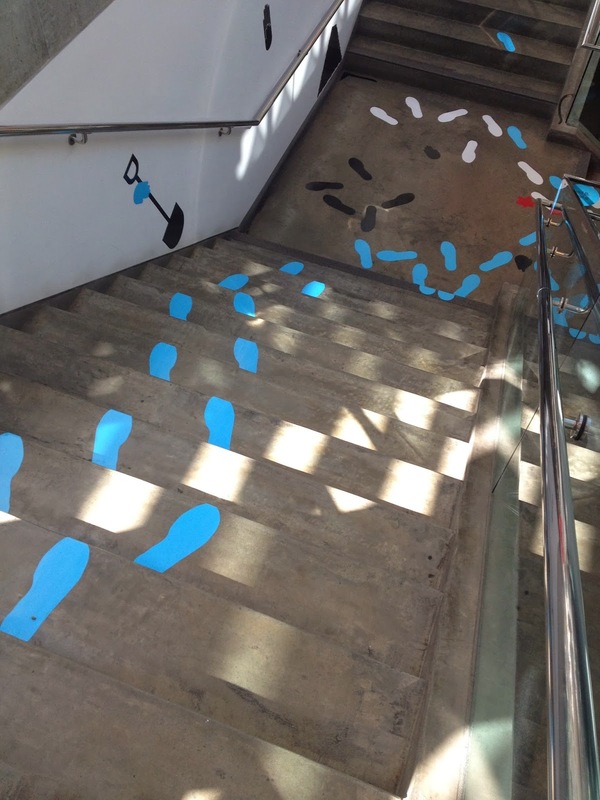 Unlike Noah's Ark, the Exodus Steps display was very simple. 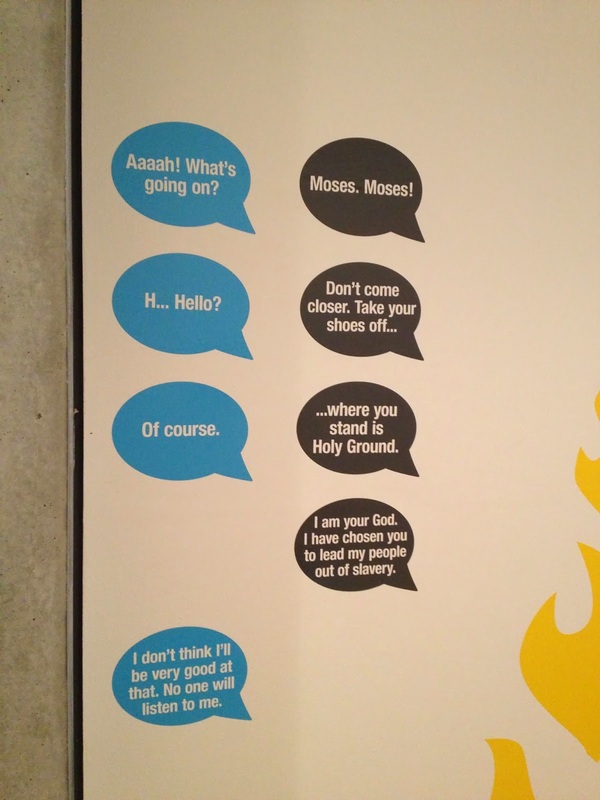 Above is the interaction between God (the Hebrew word is יהוה - meaning "YOU ARE") and Moses at the burning bush, as described in Exodus 3. 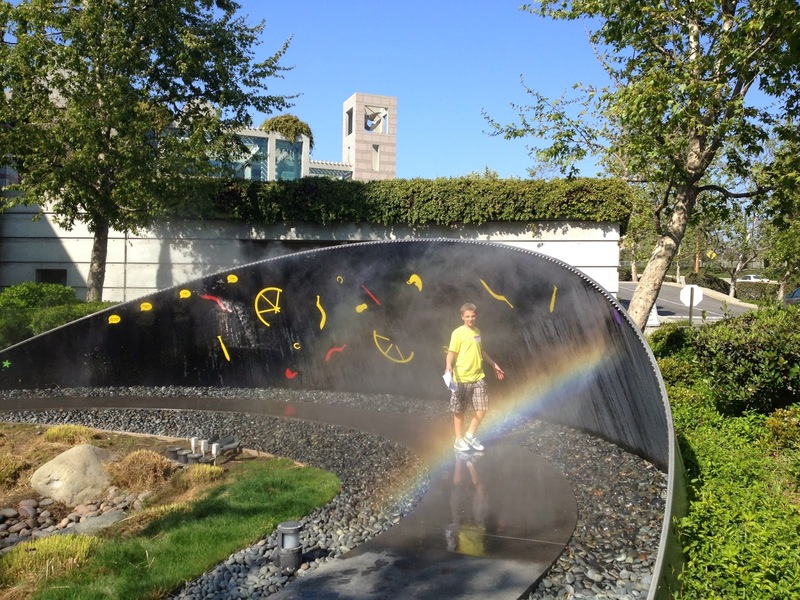 Outside, the mist sculpture was creatively used to describe the parting - and crossing - of the Red Sea (see Exodus 14). My son walking back through. I'm reminded of passage in the Christian Scriptures: "By faith the people passed through the Red Sea as on dry land; but when the Egyptians tried to do so, they were drowned." (Hebrews 11:29). Hence, the broken chariot wheels along the side. Heading back inside the museum. 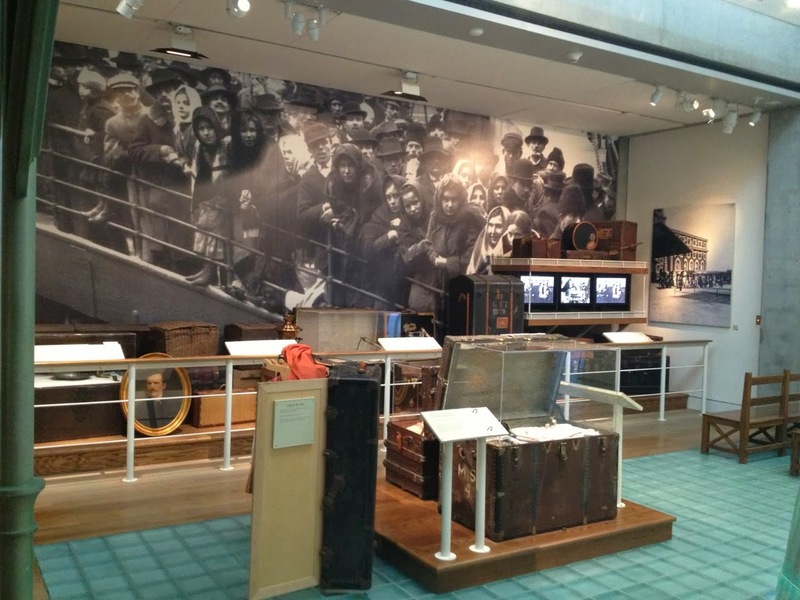 The Skirball Center also features a permanent display called "From Antiquity to America" - which does an outstanding job explaining the history of the Jews from Abraham (circa 2000 BC) to the present. As a Christian, I found this display highly educational and informative. 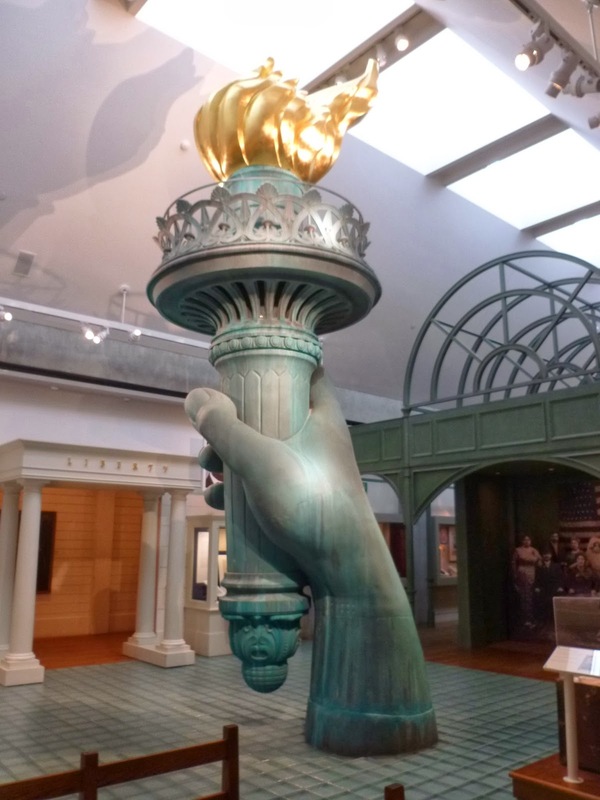 Whether you live in L.A. or are just visiting, I highly recommend a visit. 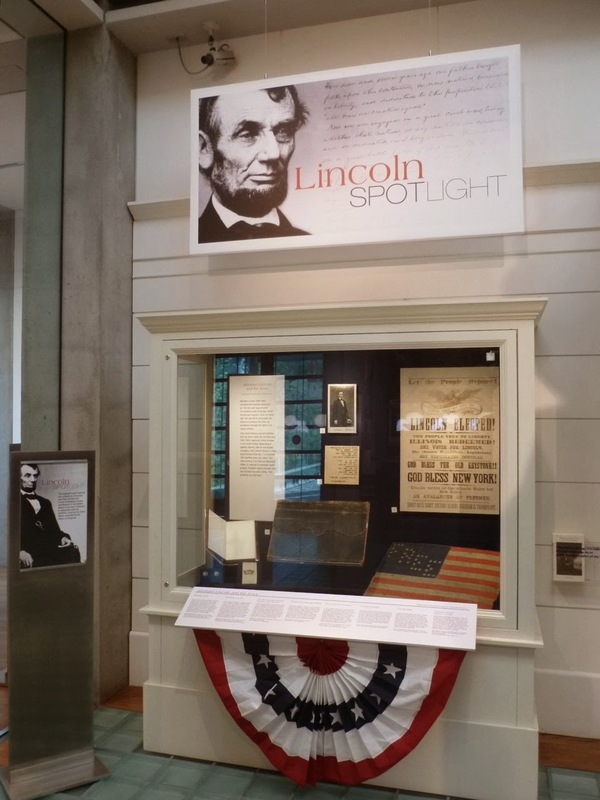 Featured was a spotlight on President Abraham Lincoln's interaction with the Jewish community in the 1860's. 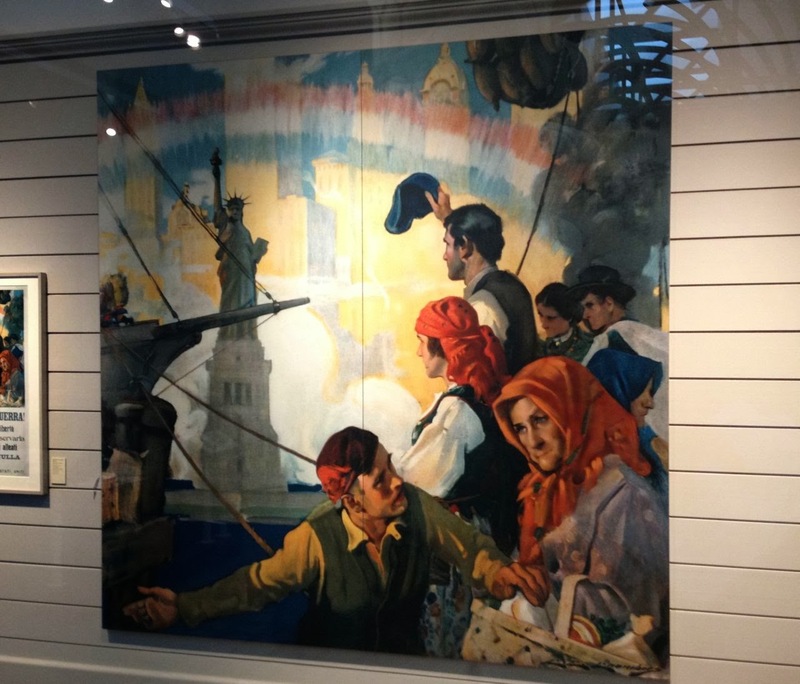 As my own grandparents were immigrants from Eastern Europe, I imagine that their experience was similar to the Jews from Poland, Russia, and Germany through Ellis Island 100 years ago. Similar, yet also different. I'm reminded of St. Peter, a leader in the first century church, who referred to early Christians as "strangers and aliens." That remains true today. There's a real danger when Christians get too comfy and forget that they are strangers and aliens in the larger society. And yet, in a very real sense, this idea of "strangers and aliens" can be said of the Jewish people. "I am a stranger in a strange land" wrote Moses. As I've shared before, I believe Christians can (and should) learn from Jews in what it means to live in and engage with the larger culture from an extreme minority position. Jews represent less than 2% of USA population - and yet despite incredible challenges - they have been able to maintain their identity and influence the larger culture in areas like medicine, science, law, and the media. I find this fascinating, and something Christians can and should learn from. A view very similar to what my grandfather experienced back around 1910. 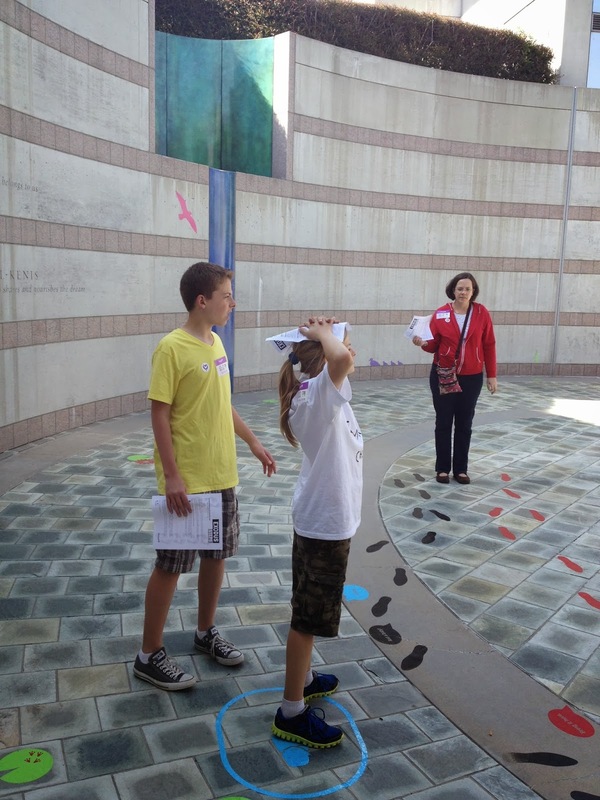 Here's a link to the Skirball Center's website. 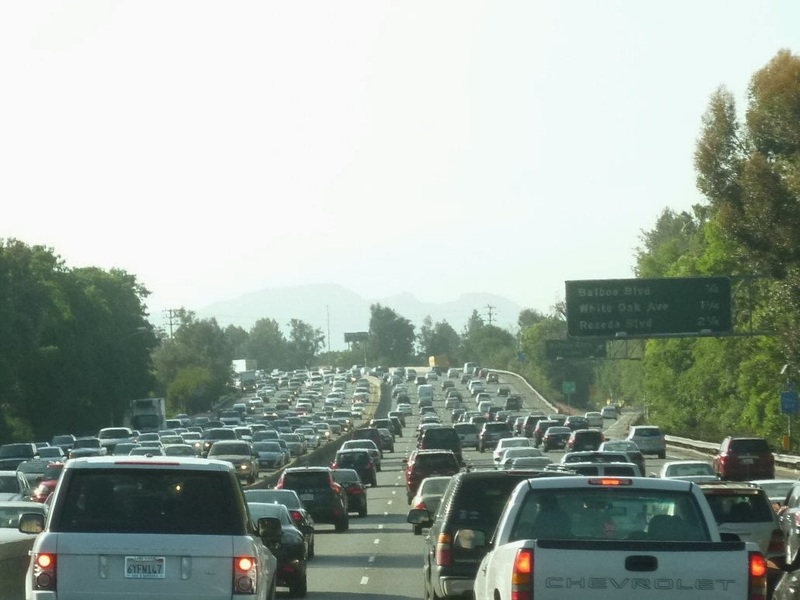 Heading home around 3pm equals Traffic: also part of the L.A. experience. Fortunately for us, this was the worst traffic we experienced - and it opened up after a few minutes, and we headed home.